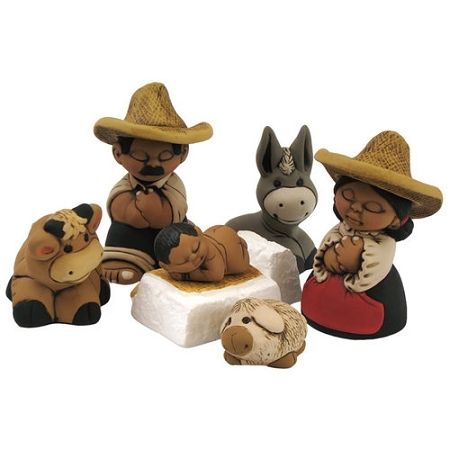 This petite ceramic Nativity design reflects the region of Characato, Peru and has 9 pieces - Joseph & Mary (with hats), Baby Jesus, manger and 3 cute witnesses. Feel good decorating this Christmas with decor that gives back to the hands that made them! Fair Trade, gift box, size .5"-1.5"